Get Professional Chromakeys Faster and More Accurately with Primatte! With newly designed automated tools, an improved Auto Compute, and a reorganized interface, Primatte 5.1 was designed to help you key even faster, more accurate key in a few mouse-clicks. New features like the Smart Sample algorithm for better foreground selection, and the Hybrid Matte feature for unparalleled power in matte edges clean will help you create clean keys every time. Whether you are creating a visual effects for a film, a television news promo, or a music video, Primatte 5.1 is the professional keying solution for an easy, automatic key. Try a free demo right now! Primatte makes it easy to remove a green-screen or blue-screen background, often with the touch of a single button. But, while Primatte Keyer has only previously been available to After Effects users, Primatte Keyer 5.1 opens up our powerful chroma keying tools to editors. Primatte 5.0 has three automatic tools that give you more choices. Auto Compute is now an easy-to-access button with an improved algorithm and spot-on default settings. 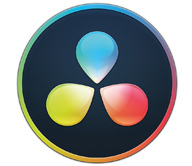 Adjust Light is brand new tool that evens out background colors for accurate background removal. Another new feature, Smart Sample, generates great results using smart foreground sampling and a histogram pass. The power of Primatte now comes in fewer clicks. Primatte Keyer was created for the professional artist, and version 5.0 wraps in more specialized tools for an industry that demands perfect composites. Get high quality keys for any color background with new features like Hybrid alongside dependable tools like Alpha Control. Two new View modes, Adjust Light and Hybrid Matte, help visualize the matte so you can accurately fill transparency holes and clean up edges. A reorganized interface makes it easier than ever to get the perfect key, leaving you more time for what you love most. Primatte’s interface has been revamped with professionally designed buttons and better organization. We put the powerful but less used features in an Advanced section so your workflow is more streamlined. The new interface makes your keying efficient so you have more time to have fun compositing. It’s great when you have good source footage, but often you don’t. Luckily, Primatte easily extracts tricky objects such as semi-transparent water, smoke, and hair. This lets you create a professional looking key every time, even in the most difficult situation. Smooth out the matte edges with Deartifacting tools that treat all source footage from DV or HD cameras. Primatte’s de-artifacting removes blockiness and artifacts around the foreground edges caused by compression algorithms in the source format. Over-correction happens, especially on chromakey footage that wasn’t shot properly. Primatte has essential tools like Restore Detail and Decrease Opacity for recovering details that get lost in the keying and correction process. This fine tuning is especially important in semi-transparent objects like hair, clothing and smoke. Incredibly easy to use. The organized interface, straightforward approach, and simple practical documentation make this just about the easiest keying software in its class. Best depth of options I’ve seen. Both in terms of controlling the key with difficult footage and managing complex circumstances like transparent objects (glass) and back-lighting, Primatte Keyer 4 runs deep. I’m sure I’ll be discovering new techniques and features for a long time. Fast renders. No hangs or program crashes during any of my tests. The ease-of-use features make Primatte Keyer 4 work fast when you need it to, and dive deep when you need it to. Incredible value. Whether it’s speed, sophistication, ease of use, or quality of results – Primatte Keyer 4 has it hands-down over the other keying software I’ve used. I think if you look back over the sample images in this article, you’ll have a sense of what Primatte Keyer 4 can do. As or me, Primatte Keyer 4 is my new favorite software. Read the full review of Primatte Keyer 4 by Tom Stern at Microfilmmaker Magazine, June 1, 2008. In this series, I'm going to give some in-depth information on three of my favorite keying tools that work with After Effects, Premiere Pro, and other tools. The first in the series covers Red Giant's Keying Suite, which includes Primatte Keyer, Key Correct Pro, and Warp. This little tutorial was unscripted but goes over a lot of the finer points of using edge mattes, core mattes, garbage mattes and so on. I'm putting this at the top of the article so you won't miss it!